Can you tell the difference?? Sacred music vs. secular music at Mass. What Do You Want In A Pastor? There is a big shakeup going on in my diocese. Pastors are being relocated throughout the diocese and because of a shortage, many priests will become first time pastors. My parish will not be exempted and the pastor of my parish will be moving to my aunt and uncle’s parish. They announced yesterday before Easter mass that an auxiliary Bishop for our diocese will be conducting an informational session this week to answer questions and to see what we desire in a pastor. So I ask myself, what DO I desire in a pastor? I suppose when we think of an ideal pastor, many of us conjure up images of Bing’s Fr. O’Malley, young, vibrant, and with great business sense or perhaps of the lovable old Barry Fitzgerald. But my experience with pastors has yet to land me in a parish with anyone resembling these caricatures. I have had some I liked, of course, and some that I didn’t. I suppose the primary quality of a good pastor is that he is first and foremost a good priest, dedicated to the sacraments. I suppose that should go without saying, alas. That said, here are some things I would like to see from my new pastor. Confessions. Lot of ‘em. I want a pastor who doesn’t treat this critical sacrament like he is checking in with his parole officer. I want a pastor who doesn’t look at the confession time of 4:41pm to 4:45 pm on Saturday as a necessary inconvenience to stay out of trouble, but rather looks forward to his time in the confessional. 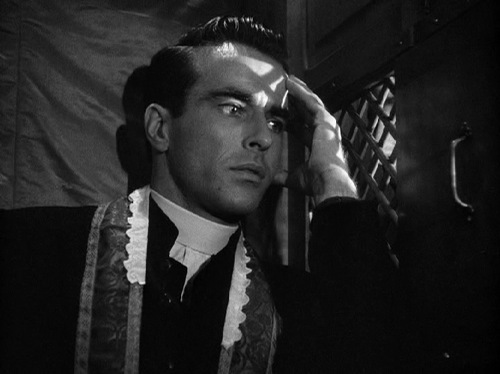 I want a pastor who inculcates that same enthusiasm for confession in the other priests in the parish. Ordinary ministers of Holy Communion. I don’t have unrealistic expectations. I know that no new pastor is likely to abolish the abuse of extraordinary ministers, no matter how much I wish they would. I want a pastor who at least makes an effort to have Ordinary ministers as well. I had a pastor who would stand in the narthex of the church during communion priests waiting to shake hands with exiting parishioners when other priest said mass, but never even considered distributing communion himself. You also never saw any other priest distributing communion at any mass other than the one they were celebrating. If you won’t curtail the use of extraordinary ministers, at least give us some ordinary as well. Music matters. I want a pastor who understands that music matters. The choice of music as well as the talent involved. I want a pastor that thinks with the Church on this. I want music that is proper to mass that is not distracting either through grand performance or singers pitchier than Sanjaya. Mostly, I want a pastor who respects the liturgy. I want a pastor who will insure that mass is done properly and without any purposeful abuses either by him or any other priest. We have a right to a proper liturgy and they have an obligation to provide it. I want a pastor who doesn’t think that this impedes his creativity. I would love to have a pastor who would add a mass in the Extraordinary form to the schedule but that would be merely nice to have. A properly done ordinary form mass is a must. These are just the items off the top of my head. What do you want in a pastor? You are currently browsing the Mary\'s Anawim blog archives for the day Monday, April 5th, 2010.